new print available on redbubble! Howdy, PMCer's! How's everyone's weekend going so far? DinowCookie did an amazing job summarizing all things spring on PMC, so we're sharing her post if you didn't get the opportunity to read it! In addition to spring things, there are several other non-spring community events being hosted on the site. Cyprezz has also been hard at work behind the scenes revamping some stuffs. We hope everyone's found something to participate in this month! android Cyprezz Launched an overhaul to our account and submission management systems! We hope you'll find everything easier and more pleasant to work with when it comes to managing your account, activities, and submissions. New member account menu provides access to everything related to our account & site activities. every submission type and their various unique elements. Better mobile support for submission management. Please report all bugs small & large by opening a ticket. Contest entries can be voted on from the /contest/ entry listing pages. Updated mobile slide out menus for member & various account pages. Optimized pop reel rendering code. 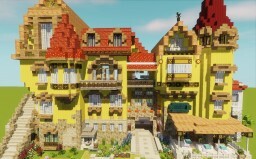 meafcraft was featured in an article on Minecraft.net for their build Bounty. The article covers the concept behind the build and what the project portrays. We don't want to give it away, though! Read the article for yourself to find out! Look, I created a spring themed pixel art divider! ^ 😄 Remember the Community Pixel Project? PMC is still accepting new dividers. Spring might just be a perfect occasion to pick up the pixel pencil again; blossom 🌸 flowers 🌹 bunnies 🐰 eggs 🥚 Members could use them to Spring Fling their profile! At the end of the Spring Fling event, my fellow hosts PMC, Cyprezz and I will pick a couple of spring-themed profiles to highlight in the event conclusion. ^_^ Please tag us, or leave a comment on the Spring Fling event discussion forum thread to show us your decorated profile! Need some inspiration? The profiles of TETQ, mcrjellyfish & StLee make great examples. I decorated mine too! And made these photos of spring available for you to freely use when decorating your own profile. Which entries do you like the most? Perhaps leave a diamond, favorite or comment on them, or even make a dedicated wall-post to feature them! P.S. Did you find Peepers yet? 😀 So far a total of 605 ﻿members had a successful egg-hunt! \o/ If you haven't found your Peeper(s) yet, I wish you good luck in finding them. You have until the end of April to spot these little cuties. So amazing! Keep it up! Happy weekend, PMCer's! Here's a quick summary of stuff and things going on around the site! We hope this spring weekend is bright and beautiful where you are! First and foremost, thank you to everyone who participated in PMC Movie Night #2! If you missed this movie night, don't worry, we will have another one soon! The Spring Fling Community Event has begun and is off to a great start! 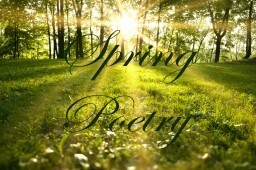 We're enjoying everyone's poems, spring photos, colorful skins, and projects! Unlike contests, your submissions will NOT be judged; this event is for pure fun! You can submit up to 5 spring themed things, in any or every category! Visit the event page for a complete list of guidelines! We will not be hosting any official contests this month, so enjoy the Spring Fling event and community hosted contests (psst, there are quite a few!). The results of the Greenleaf and Phrozencookie build + skin contest are in! Congratulations to Kaos_Kitten & Xaphanx on the first place! What an amazing collaborative effort of the hosts and participants! DinowCookie is back at it with another unique event called “Mystery Title”! Behind each number, there's a title for a skin - you pick the number by commenting on the thread and the title is revealed! Your job is to create a skin of the revealed title. Badabing, badaboom! Perfect if you’re in a creativity block or just need a little inspiration! If you're a data-pack maker, Hashs is hosting a Datapack contest, and it needs participants! The theme is Magic! Think wizards, warlocks, dragons, golems, fairies, golems... you get the idea! Hurry, though; the deadline is April 19th! As always, you can visit the Community Event Calendar for a COMPLETE list of contests and events happening on the site! Planet Minecraft Community Movie Night! THE RESULTS HAVE BEEN REVEALED!!! Tonight we will be watching The Haunting of Herobrine! This movie has a runtime of 2 hours 21 minutes. So buckle in and pop some EXTRA Popcorn! We hope you're as excited as we are!! Click here for the COUNT DOWN or here to convert EST to your time zone! The movie begins at 6PM EST. Just like last time, Cyprezz and I, PMC , are planning to be there early to setup, chat and broadcast short videos before the actual movie starts! We're very excited and looking forward to seeing you there! 1 DAY LEFT to enter the Official Contests! Hello :) go to channel 6 on PMCTV. There are some short clips on this channel along with the movie, so if the movie isn't playing you can either view the short animations OR you can click the "Playlist" tab and select "The Haunting of Herobrine". PMC Movie Night TONIGHT @ 6PM EST! Happy Weekend, PMCer’s! It’s FINALLY Spring! Who still has snow where they are? Who has blooming flowers? PMC continues to bloom with new community contests and other fun activities! We're kicking off springtime with movie night next week before something special in April! For now, here's a re-cap of site activity! We’re excited to announce that the NEXT PMC Movie Night will be held Next Saturday, March 30th! Keep your eyes peeled for the poll tomorrow (we've added a few new movie choices)! You have a little over a week to get your submissions in for the Aircraft Project Contest and the Historical Splendor Skin Contest! Pssst…reminder: the pixel dividers project is an on-going event! We already have quite the collection, but could use some more! Shout out to LemilasTheElf, Darin_the_Dwarf and _Sans_CZ for your continued contributions! How are your investigative skills? DinowCookie’s unique hide-and-seek game, Looking Glass, is still open! Round 2 needs a 3rd place winner, while Round 3’s 1st, 2nd and 3rd places are still up for grabs! TomConn and __Line are gathering AS MANY PMC Members as possible for one GIGANTIC group picture! They’ll be drawing each and every member that signs up! So far, there are over 50! Sign-ups will never close as they plan to add members as they sign up. More details can be found here! On March 3rd 22:20 UTC DragonsDungeon completely conquered the trending skin page AND Pop Reel! The drending page was filled with Sonic skins - something Dragon's had been wanting to accomplish for quite some time now. Check out theAwesome Sonic Series to see the result of a collaborative effort! We're curious to know if there will be another takeover..... hmmm. 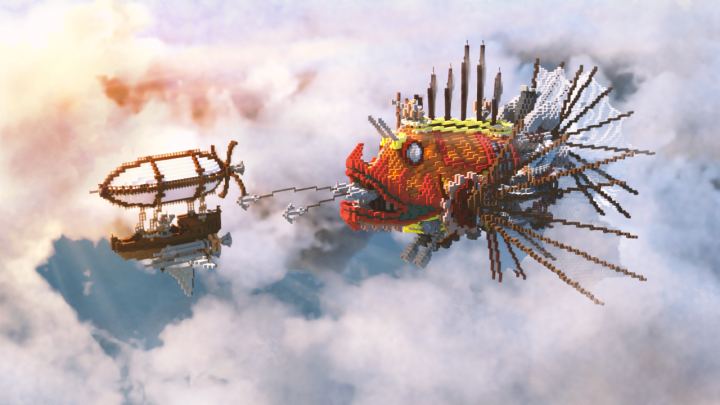 It's been a couple of weeks but we would like to send our congratulations to Argmaus, QuintenQasxz, and Matryoshka Builders, winners of the Watercraft Project Contest! Amazing work! Check out the final leaderboard here! A further congratulations to DragonsDungeon, laurEEn, and Wildflowers for their winning skins in the PMC Fanskins Contest. Combined, there are over $150.00 (not including the official contest prizes!) in steam games prizes up for grabs as well as other neat prizes like a feature on MilitaryBuilders website, thousands of dollars of in-game currency on the PhrozenCookie Server, skin requests, and much more! PSA: We will back with regular Wall Post Weekly's this Saturday, March 23rd. Stay tuned for fun and exciting news! uhh i need help. where and how do i post my maps? i really hate to advertise like this but i super need the money! if anyone's interested in art commissions / knows anyone that is, i'd super appreciate if you could take a look at my commissions journal on deviantart! even if you could just share this post / journal, i'd really appreciate it! some recent drawings i've done! hi everyone!! if you've got any characters/skins i can draw, please drop them below.